Over the past 5 years, the food delivery industry has grown by 20% making it a $100 billion-plus industry. 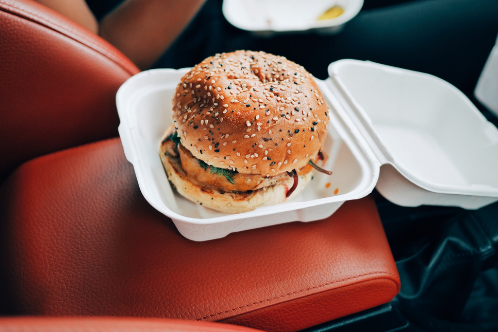 The food delivery trend is here to stay, and many restaurants, big and small, are looking to grow their customer base to new and regular customers who prefer to stay in. Not sure where to start with your delivery? Here are a list of some of your options! Costs: recruiting drivers, training drivers, paying drivers, technology for customers to be able to track their order. According to Onfleet, average monthly in house delivery cost in Chicago is $10,326 (cost varies by location). Benefits: Pricing freedom, control and management of your brand, and your business owns profits. Costs: Service fee of 30% of the restaurant bill. Benefits: Reach new local customers, be included in select UberEats marketing campaigns, largest network of partner-drivers who can help you get your deliveries out fast. Benefits: GrubHub is free for customers to use so they have a wide variety of people ordering food. Costs: Postmates can delivery your restaurant’s food with or without the restaurant’s permission, causing some restaurants to complain. Postmates charges their “partners” (restaurant who choose to work with them) a service fee for each order, which will help lower the delivery cost for the customer. Benefits: Becoming a partner with Postmates gets you on their “featured” page making more customers interact with your brand. Costs: Doordash takes a partner percentage from the order which is 10-25% depending on the type of restaurant. Benefits: Becoming a partner with Doordash allows them to promote your restaurant/menus to their customers. Cost of delivery is passed to the customer, not the restaurant. Delivery services can be achieved by offering an in house delivery service with your own employees or by using a third party delivery service. To stay competitive in this age of convenience and technology, delivery is a must for restaurants looking to capture the attention of new customers.